Shawnee Community College will host 14 summer camps for children starting on June 5th, 2017. The college will have a variety of camps, which include: FUN-DA-MENTAL Basketball, Drama, Dance and Cheer, Soccer, Renewable Energy, Magic with Jeff the Magic Guy, Babysitting, Minecraft, ELITE Camp, Art, Candle and Soap Making, Coding Minecraft, Cookie Decorating and LEGO Mindstorm Robotics. For students ages 7-12. Fee is $30. For students in 5th-9th grades. Fee is $75. For students ages 6-12. Fee is $30, which includes magic kit. 9:00 a.m. – 11:55 a.m.
For students in 3rd-8th grades. Fee is $45. For information, contact John Sparks at 618-634-3230 or johns@shawneecc.edu. For students ages 8-17 years. Fee is $40. Contact Tim Frizzell at timf@shawneecc.edu. Select one day to attend. For students ages 10-14. Fee is $20. For students ages 9-13 years. Fee is $50. For students ages 9-12 years. Fee is $55. For students ages 9-13 years. Fee is $75. For students ages 10-18. Fee is $40. For students ages 11-14. Fee is $50. For students ages 7-15. Fee is $25. For students in 7th-9th grades. Fee is $10. For ages 4-12. Fee is $30. The printable registration form and more details on each camp can be found online at www.shawneecc.edu/community_services/kids_activities.asp. Please fill out the entire form and send payment with form to Shawnee Community College, ATTN: Stacy Simpson, 8364 Shawnee College Road, Ullin, IL 62992. Registration and fees are due at least one week before camp start date. 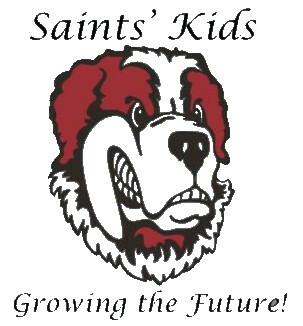 For more information or to register for the Saints’ Kids 2017 Summer Camps and Activities, please contact Stacy Simpson at 618-634-3266 or stacys@shawneecc.edu. This entry was posted in All the Buzz - Bee Informed, Education Buzz and tagged Camp, Kids, Shawnee Community College on May 17, 2017 by massacbeeswax.